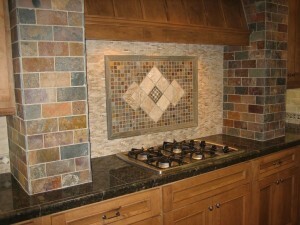 This project in Three Oaks, MI was a work of love for the owner who also owns the art gallery below. 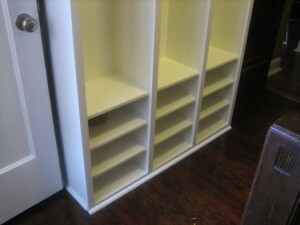 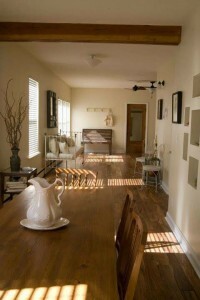 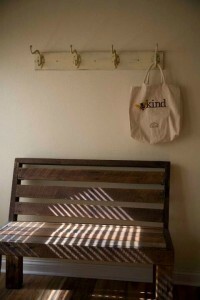 This was an outdated, inefficient apartment that we converted into her dream second home behind and above her gallery. I enjoyed working with Bridget, she knows what she wants and we were more than happy to get the job done! 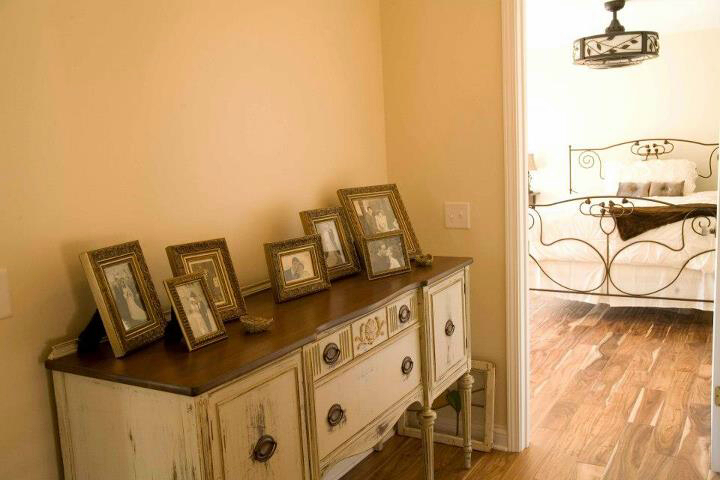 Enjoy the photos and when in Three Oaks, MI be sure to visit Bridget Verdun’s gallery, studio b gallery in downtown Three Oaks at Elm and Sycamore. 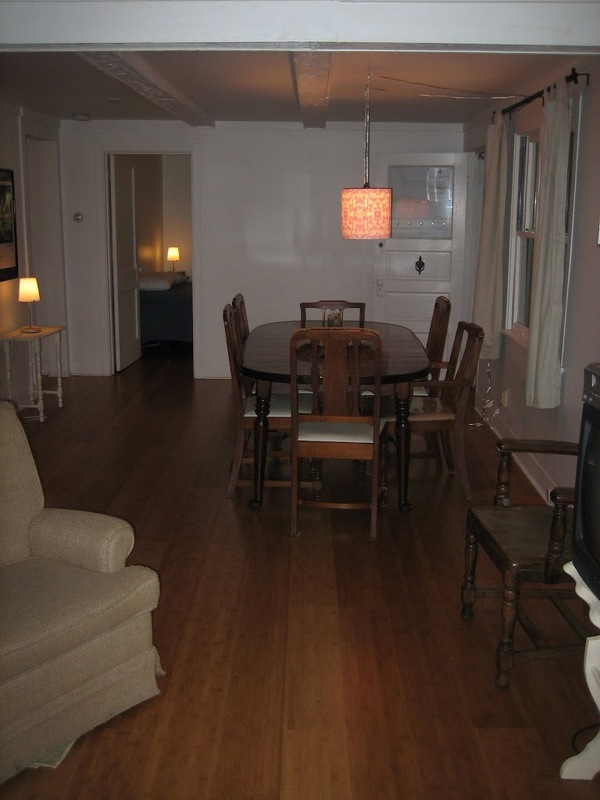 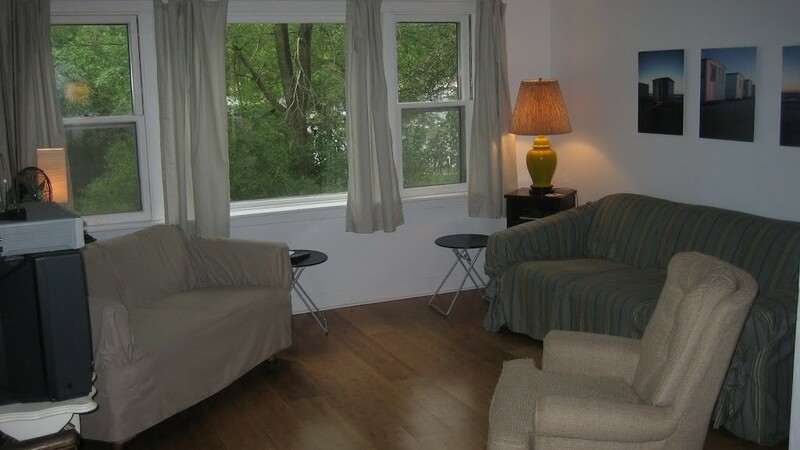 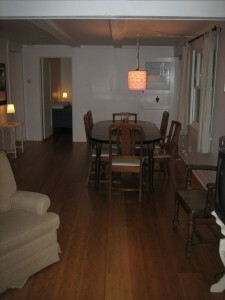 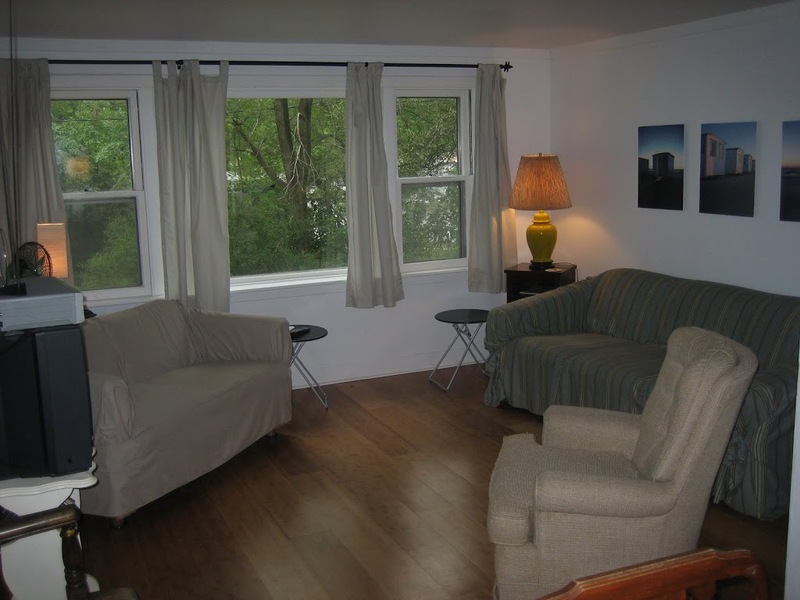 Beautiful new hardwood floors installed throughout the home on two floors. 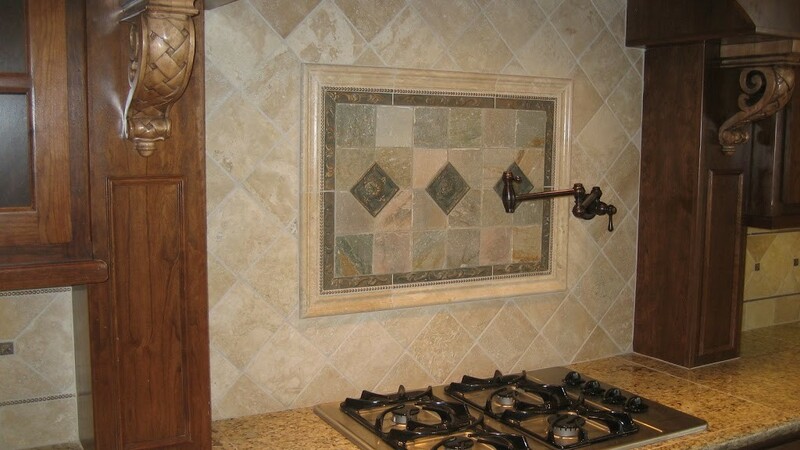 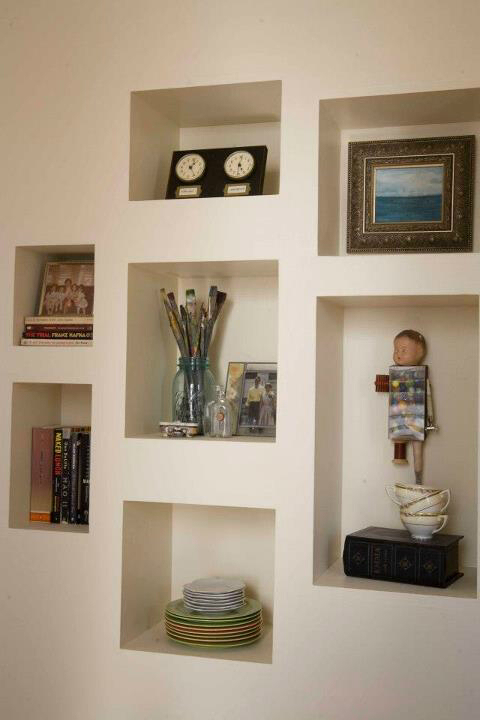 Creative drywall niches allow the owner to display her personal art collection. 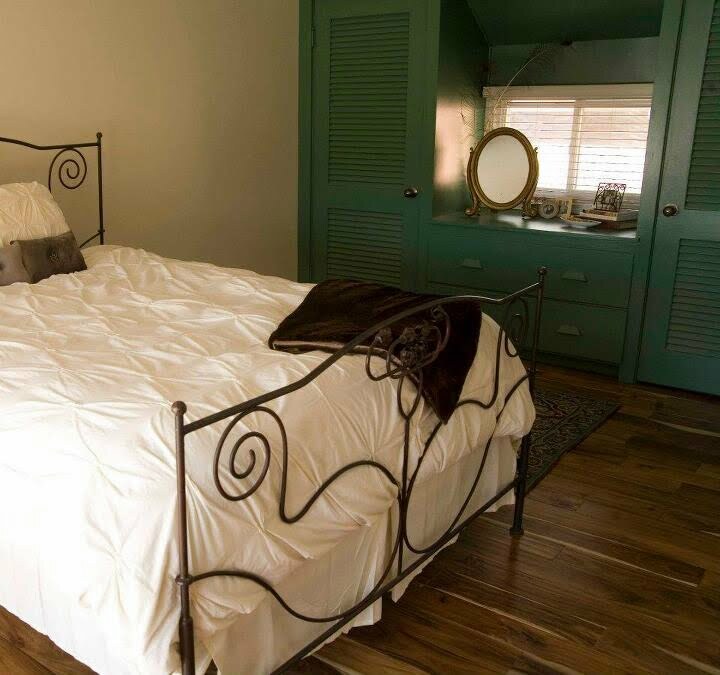 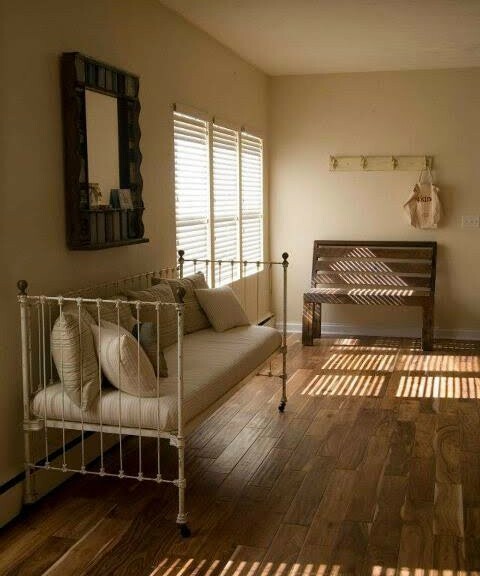 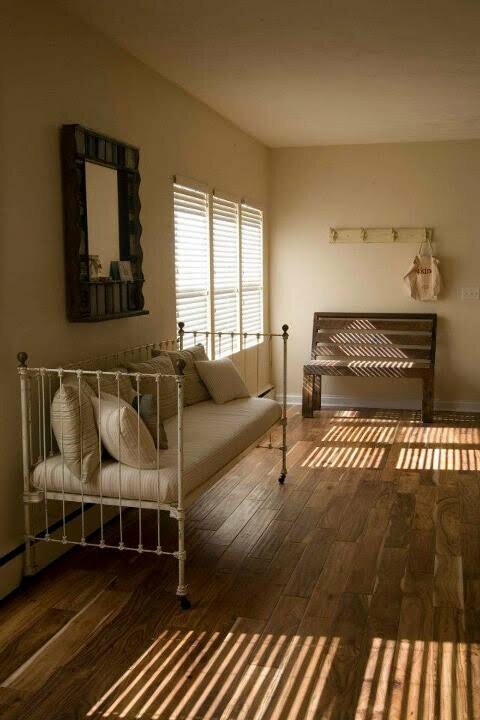 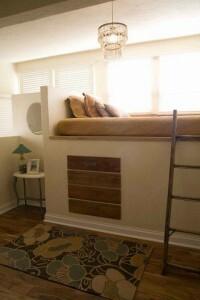 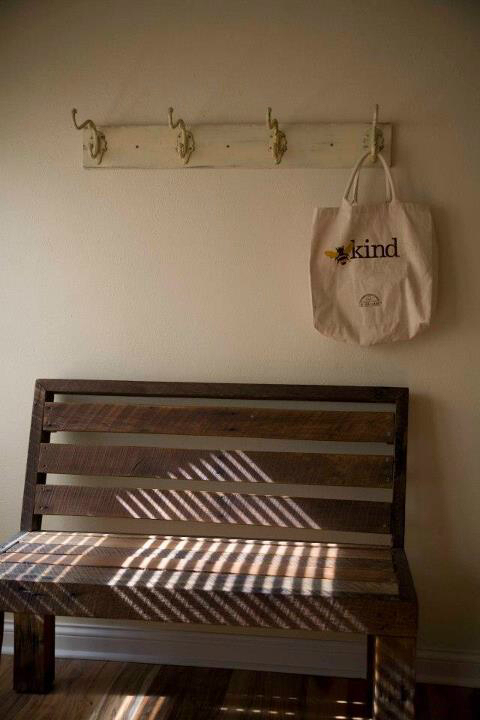 A unique loft-like bed is enjoyed by the children and guests alike in the spare room! 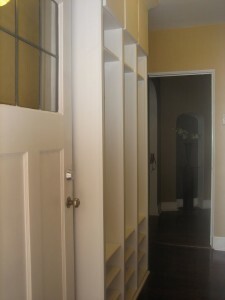 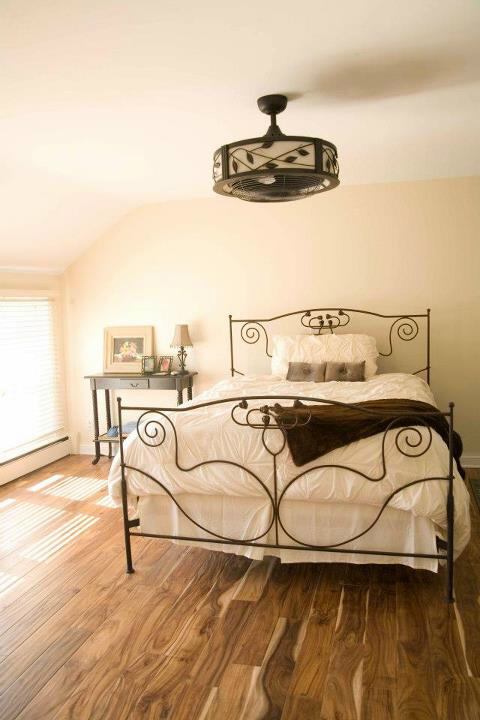 Bridget’s design style is well complemented by the light color walls and trim we painted through out the home. The historic built-in in the bedroom was salvaged, stripped, repaired and painted a color selected by the owner and works well as a dresser and closet now. 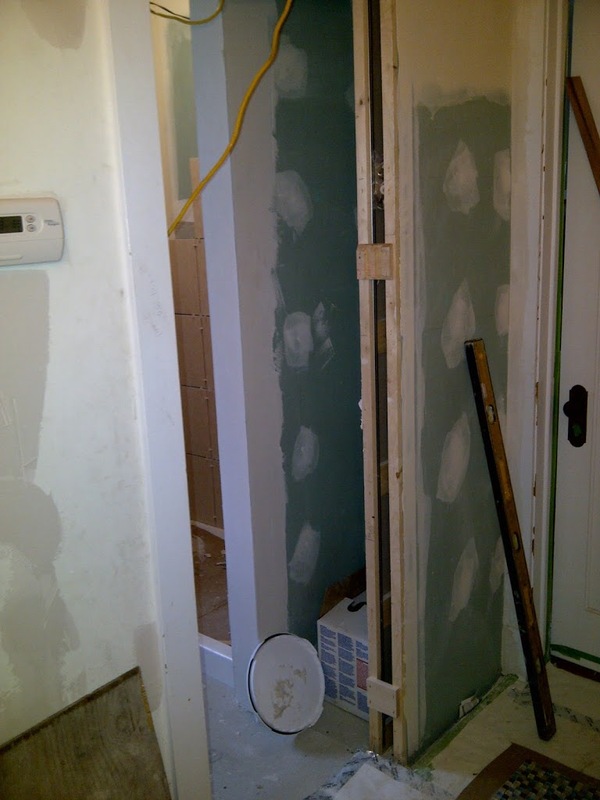 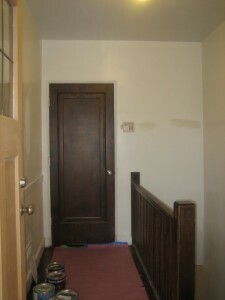 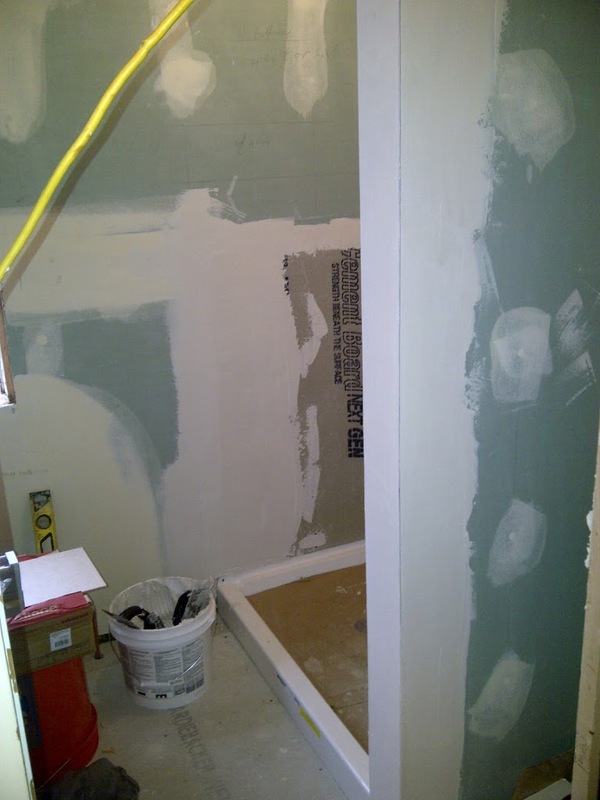 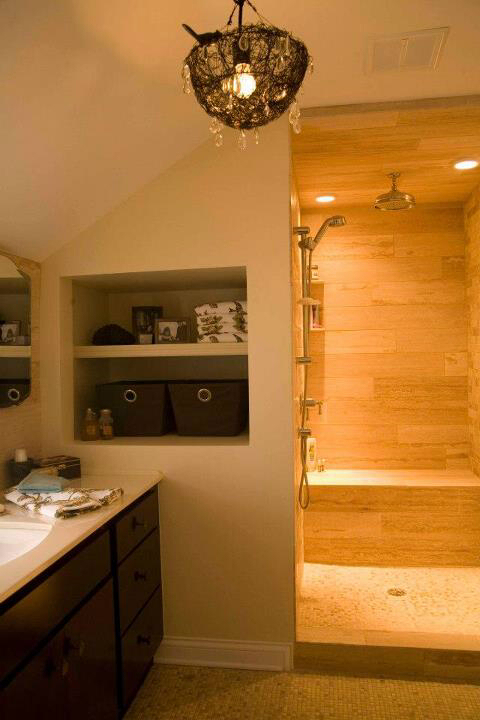 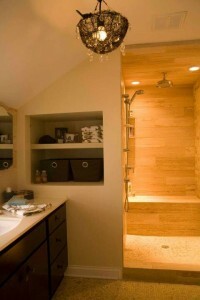 The 2nd full bath was installed on the second floor where a closet once existed. 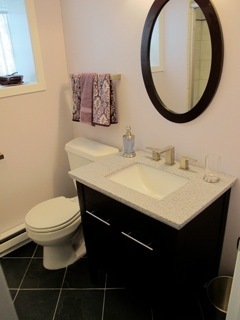 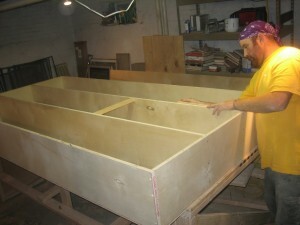 The stock vanity was custom cut to fit perfectly under the new glass block window. The walk in rain shower looks beautiful and includes luxury stone and mosaic tiles as well as high end faucet selected by the owner. It was enjoyable working with this client who had the vision of what she wanted and the confidence that FRANCIS BRYAN REMODELING would get the job done! 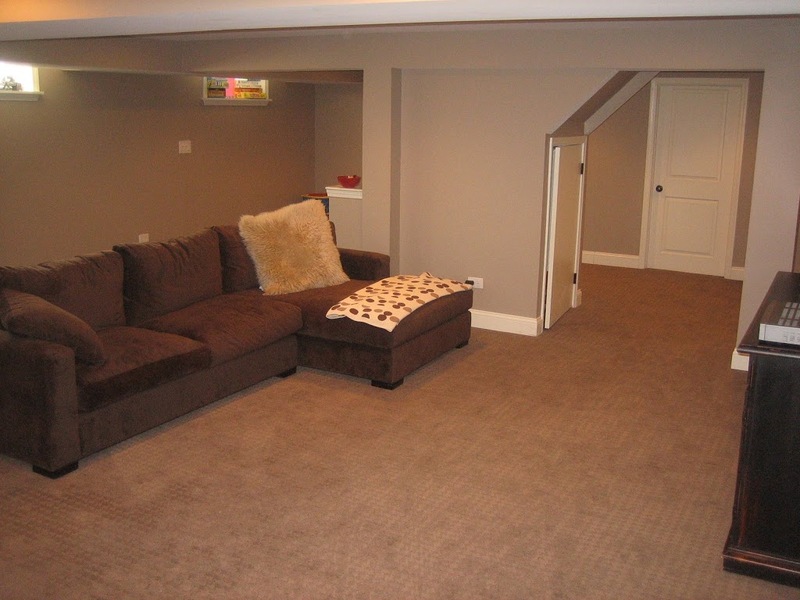 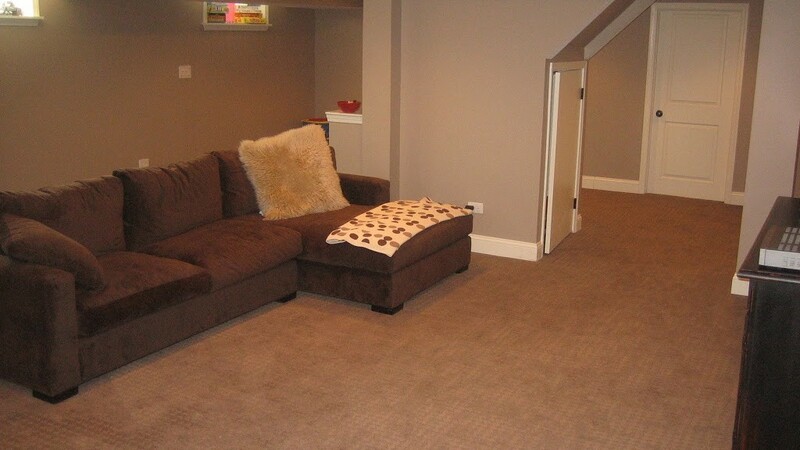 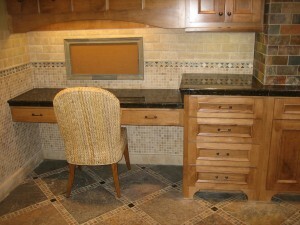 We worked with this Beverly Hills, Chicago client to install a beautiful, luxurious bathroom in her finished basement. 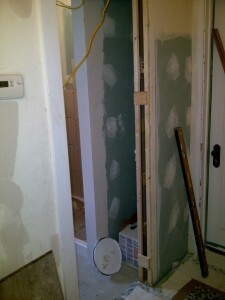 The client requested a walk-in shower with bench and a wide entrance for a custom double, glass, shower door. 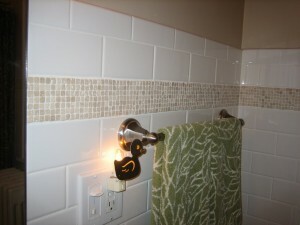 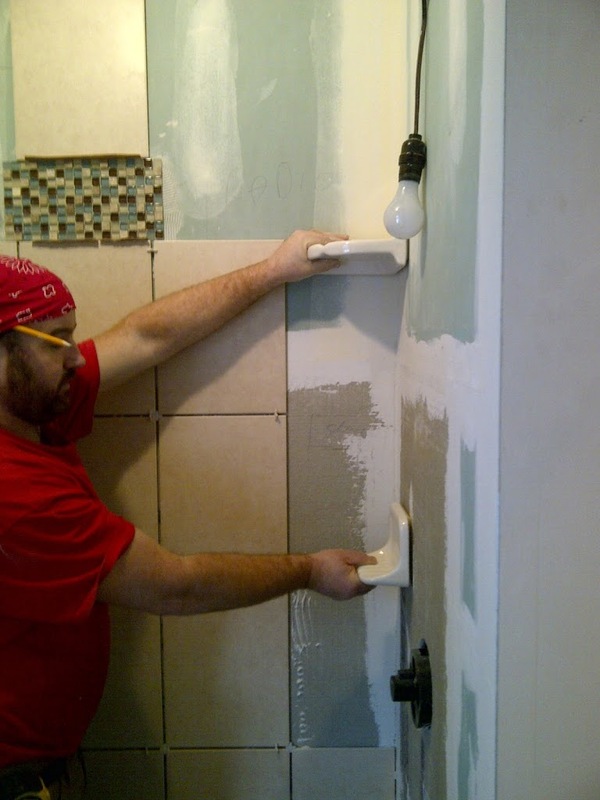 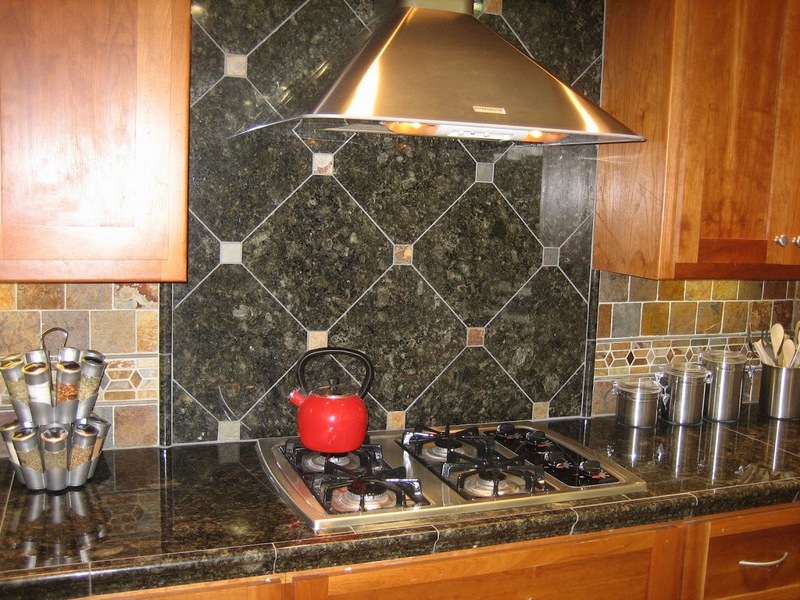 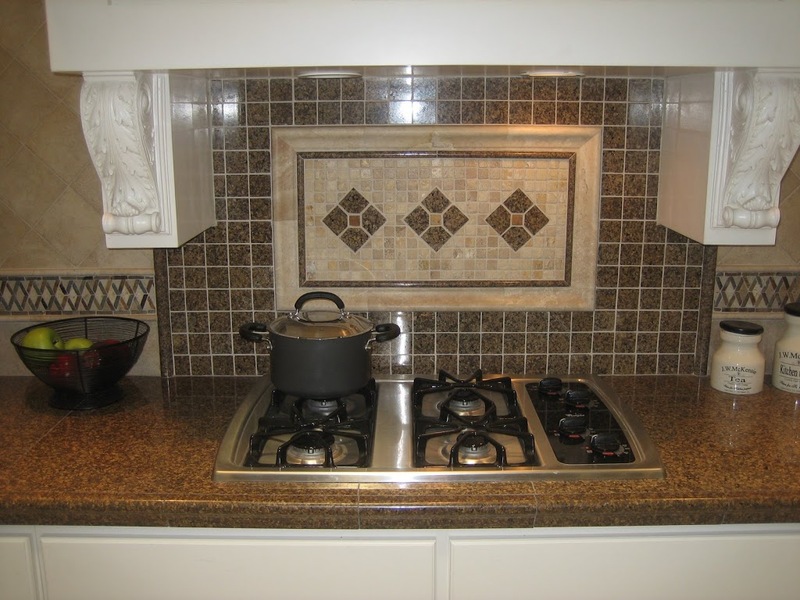 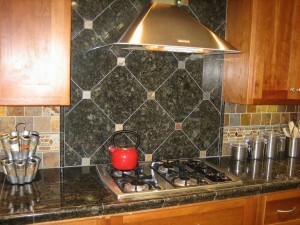 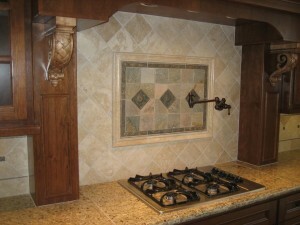 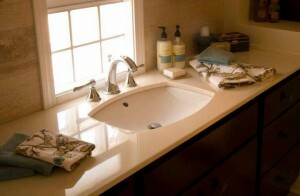 The homeowner selected a variety of tiles that worked well in each area. 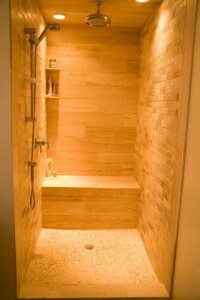 Small format marble for the floor of the shower, large format porcelain for the walls of the shower and custom designed and cut solid Carrara marble for the bench and thresh hold. 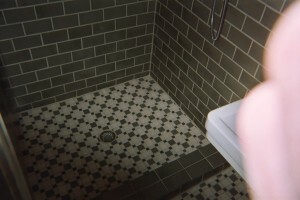 The medium size square slate looks beautiful on the bathroom floor. The mixture of tiles complimented each other perfectly to create a stylish, warm and dramatic mix of historic and contemporary style. The ebony stained vanity with solid surface top and ebony mirror look beautiful. 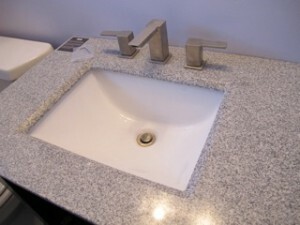 Finally, the square brushed nickel faucets on the sink and in the shower, including the unique square drain bring the entire look together. 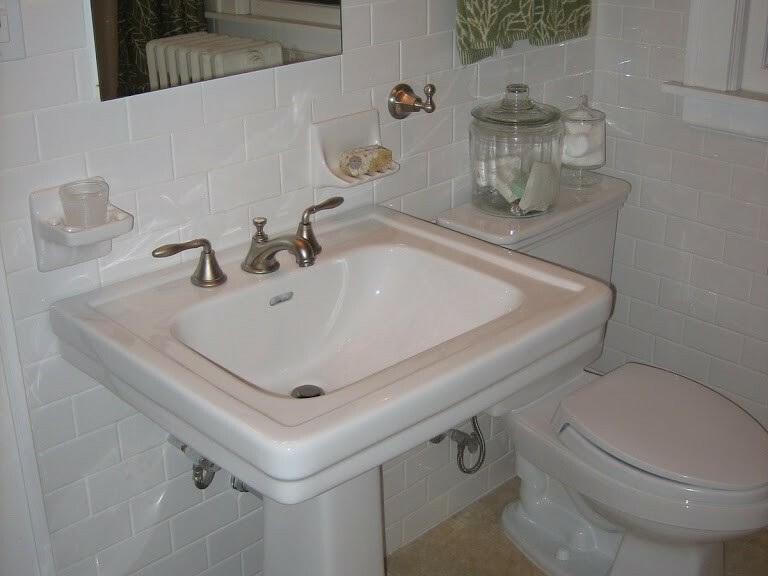 Gut Remodeled Bathroom – 18″ x 18″ tumbled marbled floor, 1/8″x 1/8″ mosaic tumbled marble ribbon, white “subway” tiles, built in white ceramic soap dish, toothbrush holder & shower shelfs, Toto sink & toilet & brushed nickel fixtures & faucets etc.. 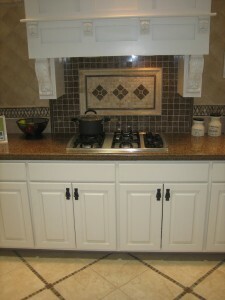 Call today now that the weather is getting warmer! 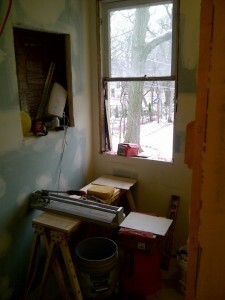 We will come out and measure. 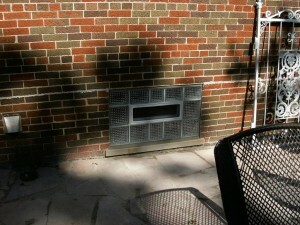 We then go back to our shop and build your custom windows to your specifications with or without a vent. 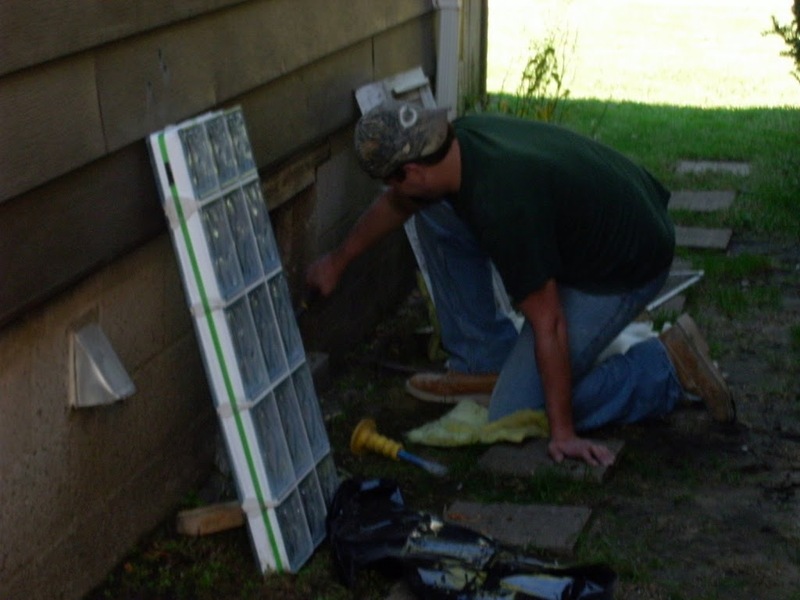 We then arrange to remove and dispose of your old windows and install your new GLASS BLOCK windows! 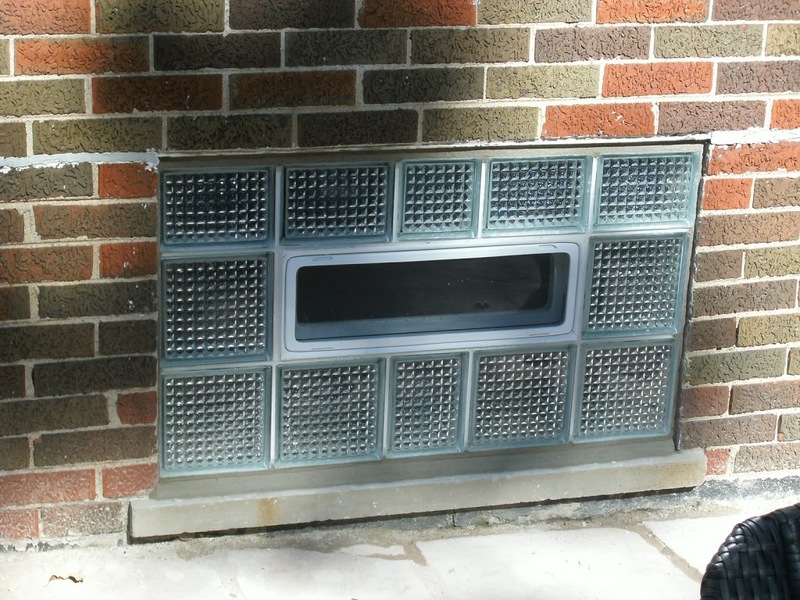 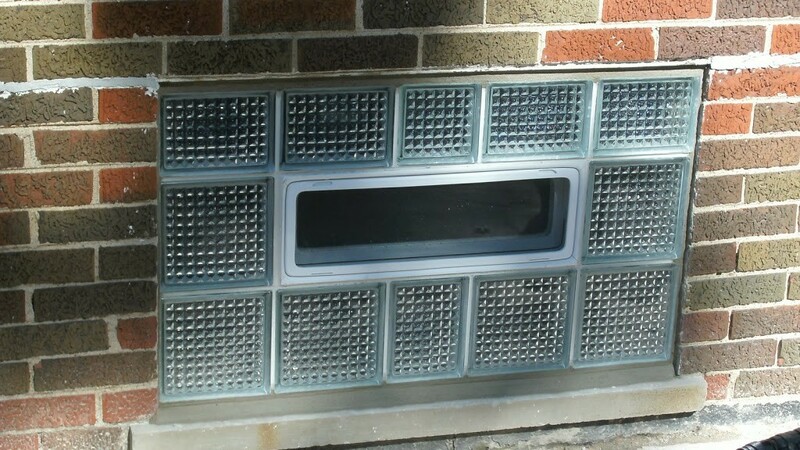 We also have dryer vents that can be built in as well as fans and other custom features. 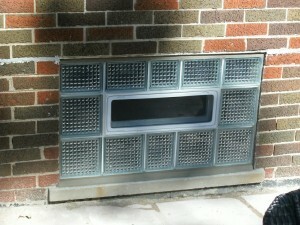 If your a builder we will construct windows to your specs and you can pick them up and install. 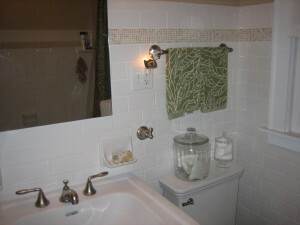 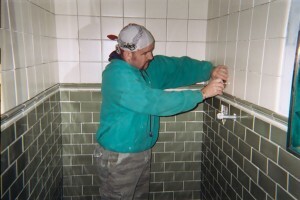 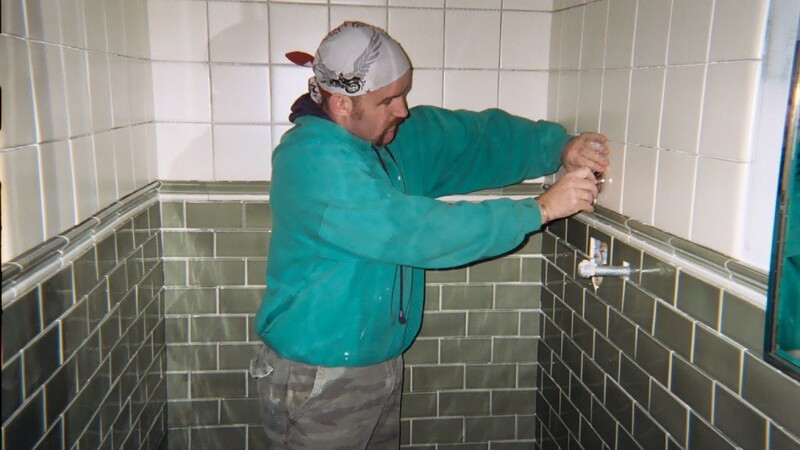 We also custom build and install glass block shower walls, bars, room dividers. Your GLASS BLOCK ideas can come to life! 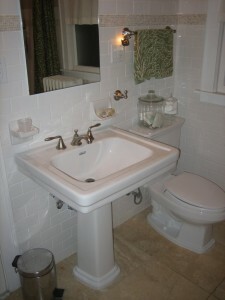 Call to discuss!